And you’ll be touched to know all these darling pooches’ photos David sent us are from the Spartanburg Humane Society—and they are all available for adoption, he says, right now. There are two characters in my Brack Pelton mystery series--above all--that readers ask about and comment on. The first is a local minister by the name of Brother Thomas whose major role is to be Brack’s conscience. The other character, one I probably need to include in more scenes, is Brack’s rescue mixed-breed dog Shelby. In general, the readers respect Brother Thomas, but they love Shelby. As a dog lover, I can relate. I would not have written the series without some form of canine sidekick. Shelby’s magic showed up on the page in his ability to get women in the story to fall head over heels for him. My protagonist Brack is somewhat of a ladies man, but he pales in comparison to Shelby. When the two of them are together, Brack takes second chair while his dog steals the scene. Because Brack gets himself into dangerous situations, he sometimes has to stay away from obvious places where he might be found, like his home. But he still has the responsibility of taking care of Shelby. This is where Trish, Shelby’s other caretaker, comes into the story. Trish is the wife of Brack’s lawyer. And Trish fell in love with Shelby the moment she met him. On more that one occasion, Brack felt as if Trish would pack up and leave Charleston, taking Shelby with her. Trish’s husband feels the same way. This extra layer of stress for Brack always comes at a time when he already has a lot to deal with. With much trepidation does Brack make the call to Trish to watch over Shelby while he has to run around Charleston righting wrongs. Of course Shelby isn’t unique in any four-legged regard. While he is a consistent but secondary character for my books, the first person point of view of one of my favorite series, Chet and Bernie, is the one-hundred-pound mutt Chet the Jet. The story is well written and convincing. Spencer Quinn has a winner and I wholeheartedly recommend it. John Sanford recently gave Virgil Flowers a dog. I am anxiously awaiting the next book to see how Virgil, a bachelor with a busy life as an investigator in the Minnesota Bureau of Criminal Apprehension, handles the responsibility. CJ Box’s game warden Joe Pickett rides around in his pickup truck with Daisy, his family dog. Daisy gives Joe someone to talk to as he travels the vast expanse of Wyoming. And Robert Crais’s thriller, Suspect, focuses on a K-9 unit. The main characters, Scott James and his new German shepherd partner, Maggie, are damaged goods. Both lost their partners and suffer from different forms of PTSD as they bond in their new assignment. I can’t wait for the next book with them, The Promise, where they team up with Crais’s other great characters, Elvis Cole and Joe Pike. What a great book that is going to be. For those of us who are dog people, why we adore these four-legged sidekicks is a no-brainer. Just as our pets enrich our lives, the fictional ones running across the pages of our favorite books add so much more, both to the story and to the characters who take care of them. So, which non-human characters are your favorites? HANK: I agree--LOVE Chet. And, um, Pooh. Oh, I could go on. And of course, there are big pitfalls to giving a character a pet, right? But how about you, Reds? Favorite fictional animals? 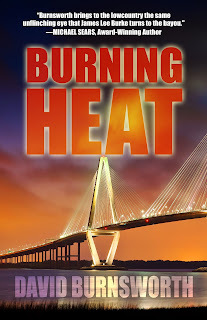 Southern Heat is his first mystery and the sequel, Burning Heat, debuted in January. Having lived in Charleston on Sullivan’s Island for five years, the setting was a foregone conclusion. He and his wife call South Carolina home. What adorable dogs! I hope they all find good homes. I love find dog-companions in books . . . Scott James’s Maggie is one of my favorites. I also love Eve Dallas’s cat . . . . Yes, there is something so special about a shelter pet! And I gave Jake a shelter golden in my books, and it soon became quite an obstacle. Jake is always working, and I always worried aboutDiva, left behind at home. Finally after Jake started leaving diva at his moms house, she sort of readopted her. Luckily for my plot! Pooh and Chet are great characters (though Pooh isn't a dog.) My own Tonka wonders why my characters have always owned CATS. It's the problem your Jake had Hank, and David's character too--it's a lot harder to leave a dog for hours while dashing about solving crimes. Let's hear more about the new book! Thanks to Jungle Red Writers for having me! 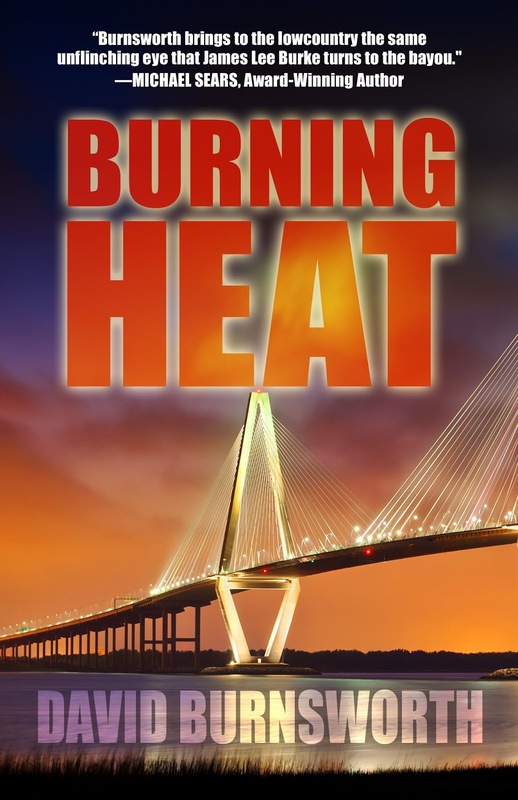 My new Lowcountry mystery, the sequel to my debut SOUTHERN HEAT, picks up a year later. And seemingly everyone's a year wiser :). Except the cast gets themselves mixed up in another murder. Brother Thomas, the local preacher, asks Brack to look into a missing young woman and it all goes downhill for a lot of very influential people. Favorite dog in a mystery? Stranger in Martha Grime's The Old Silent, followed by Stone, Stan Keeler's black lab, also characters in Martha Grimes' Jury mysteries. Most of our pets--dogs and cats, have been rescue animals. And David--I adore Charleston! Thanks! It is such a special place. Welcome, David! I have never had a dog, ever, and yet most of my books have dogs in them. In Night Night, Sleep Tight one of the main characters (a biker) has two very sweet, energetic rottweilers who know someone's at the door long before the doorbell rings. Dogs are so useful. They can sense what people can't. Best of all they give your characters opportunities to show their true selves by how they interact with the dog. And readers love them. My most recent favorite dog is Spencer Quinn's Chet - and he gets to narrate. Also anything by Susan Conant. 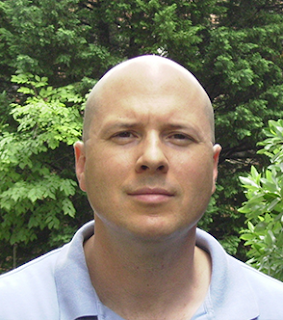 David Rosenfelt's Andy Carpenter mysteries. Dean Koontz's golden retriever in The Watchers. Liz Mugavero's cozy mysteries. Dogs abound in crime fiction. Love dogs! Had a signing yesterday and the lady running the bookstore was a canine foster parent for a mixed breed named Elvis. I'm not sure I have a favorite animal, but I love it when they appear. Especially dogs. I want another dog. The hubby says no. I need to stop looking at pictures of dogs online, but I just can't stop. My protagonist, Jim Duncan, is a PA State Police trooper who has a Golden, Rizzo. Fortunately, I made the decision a long time ago that Jim also has a nice neighbor who loves the dog as much as Jim does, so she takes care of it. But I'm constantly asking myself, "Have I taken care of Rizzo today?" I know what you mean. I am always checking to make sure Shelby has been tended to. Of course Pooh isn't a dog! :-) but he is a fictional (sort of) animal, right? You got the right cover, Hank. Thanks! Have a good flight. David, I love that you used photos of shelter dogs in your post, and I hope all these darling dogs find good homes. It will soon be a year since I lost my shelter doggie, Abbie, who had been with us for fifteen and a half years. We haven't gotten another dog yet, but we will. I have a fantastic dog sitter who is just waiting for me to bring another furry friend into my home. I do enjoy characters having dogs, but I can't think of a particular one right now that stands out. Hallie, as you pointed out, I think the interaction between the character and her/his dog can reveal much about that character. I keep meaning to read Spencer Quinn just because of the dog, but I haven't gotten to him yet. Mary, I like that you can somewhat fulfill your desire for a dog by having one in your books, and the solution to your protagonist's absences is great. And, I will get to your books, too, Mary. Oh, and I look at dogs online, too. Lucy, although I'm not a cat person, I always enjoy Haley's cats. Wouldn't Tonka make a great dog character though? David, Shelby sounds delightful, and I am drawn to your setting, too, so it looks like I have yet another two books to add to my TBR list. Thanks so much, Kathy! Let me know what you think. Welcome, David! Oh, I love each and every one of the dogs you posted.... Alas, my son and I are allergic, but we di have a cat. And my protagonist, Maggie, has a cat named K. Luckily, she gets friends to cat-sit when she's away on missions. As one of her friends said when he took in her cat, "Oh, We British adore animals! It's children we can't stand — which is why we invented boarding schools!" That's funny! Thanks for the warm welcome! I'm just the opposite ( I suppose). I'm allergic to cats. I love dogs, but I'm pretty sure my kittens would revolt. But I'm a firm believer in an animal rescue. Glad you've got some four-legged friends! The Spartanburg Humane Society is a wonderful organization. I love dogs and dogs in fiction. My own rescue dog Boo (short for Boolie, ideal son in Driving Miss Daisy) is a border terrier/mutt and will be 13 next month. People like him a lot. Let's see, Craig Johnson's Longmire has Dog. Hamish MacBeth has Lugs and Sonsie, dog and wild cat. And also kind neighbors that look after them. Nick and Nora Charles' Asta seemed to be able to go anywhere, as least in the movies. I doubt she could in the books since she was a giant schnauzer. oh, and Stephanie Plum has her hamster that lives in a soup can. Dandy Gilver has her beloved Dalmatian. I'm sure there are more, but my brain is winding down here. You listed a few I hadn't heard of before. Thanks for the heads up! Adopt, don't shop. The pups in the wonderful photographs would all agree, and they're full of love, I'm sure. I can't imagine writing a book without critters, just as I can't imagine a life without them. My favorites are in the Rita Mae Brown books. Anyone who has spent a lot of time around animals knows they don't talk, but I'm pretty sure they do plot and plan. My cats know more about the people who come into my home than I do. I always keep an eye on how they react to newcomers. They are rarely wrong. We had a dog like that. I still miss him. He's who I based the dog, Shelby, in my series on. CA-RAZY flight to Atlanta! But now I am safely in my hotel room, and I am not budging. Thanks! Glad you made it safely to my other favorite southern city. Honestly I kind of like Stephanie Plum's hamster. It's a great character detail-- she's far too flighty for a pet that requires more commitment. And a hamster doesn't demand the spotlight like a border collie, or leave you thinking it's some sort of Chekhov's gun like a pet python. It's just...a hamster. But it's more specific than not having a hamster (or anything else). Thanks for your comment. I agree. Sometimes it's not easy balancing my protagonist "saving the world" while making sure he doesn't neglect his dog. Still, the pluses Shelby brings far outweigh any slight inconveniences. I'm not so much of a dog person, but I have always enjoyed animals in stories. I think my first big favorite was Reepicheep, the valiant Narnian mouse. In college I loved Hazel-rah from Watership Down, and later Athansor, the magical white horse of Winter's Tale. Those are choices I'm not familiar with. But i enjoy animals on the page and in person.